Steven brings a wealth of International Business experience to LINK. 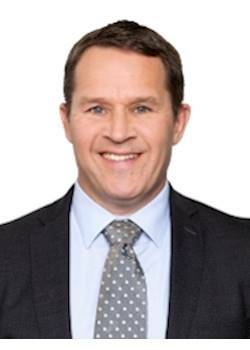 With a 22 year track record of business ownership in the Aviation and Logistics industry and 10 years owning and operating one of LINKS top performing Franchises, Steven now takes on the responsibility as LINK NZ Business Development Manager with a focus on ensuring the continued growth and success of LINK Franchise offices throughout New Zealand. Steven has a vast wealth of experience in complex contract negotiation and has worked in some of the most demanding environments throughout world including Russia and Africa, in addition to holding Senior Management positions in the USA, Middle East and Western Europe. Over the past 30 years he enjoyed success in various other business ventures including property, retail, import / export and tourism. Steven is an extremely successful entrepreneur who has extensive knowledge and experience in a wide range of industry sectors and has managed and successfully sold a number of his own businesses with multi-million dollar turnovers, including the sale of a high tech flagship business via a $150m IPO / Float through the UK Alternative Investment Market (AIM). Outside of work Steven is still a keen sportsman. The rugby days may be over but he still has a passion for the outdoors and currently enjoys a multitude of sports including road and mountain biking, trekking, kayaking and attending regular boot camp classes. Steven is a very proud family man who has been married for 22 years and has two inspiring daughters aged 16 and 13. For the past two years Steven has been a volunteer with Age Concern in Tauranga.